Film: I am and always will be a comic fan. Sure there have been periods of time where I haven’t collection, the post-Image world of the 90s for example (I’m sorry guys, I like the old artwork, and the anime/ graffiti styled artwork of those guys never rubbed me the right way… I want my superheroes to be done by the old masters like Jack Kirby, Gil Kane, John Buscema and their ilk) and recently I’ve become disappointed with the storylines which seem to be repetitive and basically made to sell the movies. I understand it’s a business but there seems to be a creative lull, which has happened before as the history of comics is circular and fad based. Something hot today will not even be published tomorrow. Hell, as of this review we don’t even have the cornerstone of the Marvel universe, the Fantastic Four being published, and that was once taglined as ‘The World’s Greatest Comic Magazine’. I do still however get collections of old stuff, and I’m fascinated by the history of the art form too, and my book collection has many ‘history of comics’ books amongst it. 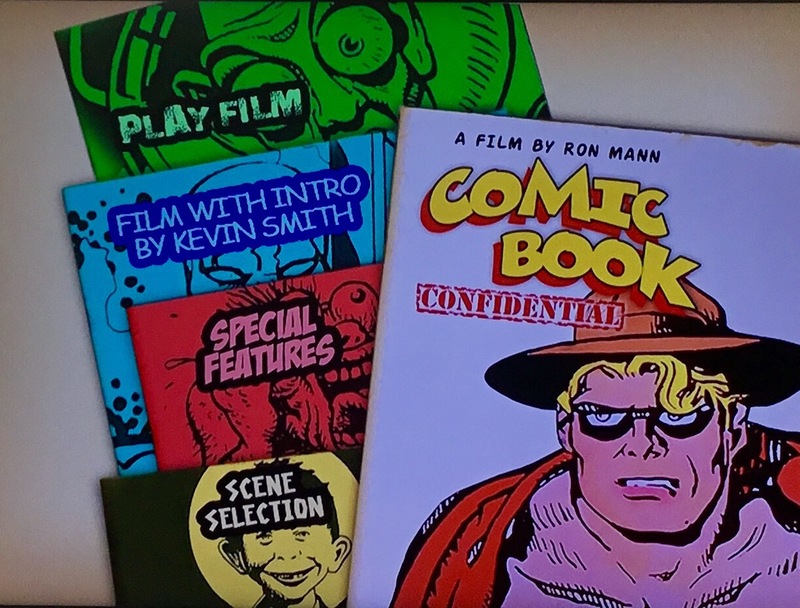 This, however, is Ron Mann’s documentary of the history of comic books and it’s a pretty concise and interesting look at how they came about, but the best thing about this doco is the absolutely essential stories from some of the old men, and young guns, of the industry. It’s pretty special to know the history of Bill Gaines, and then hear him tell stories himself, and to actually hear my hero, Jack Kirby’s voice, is amazing. 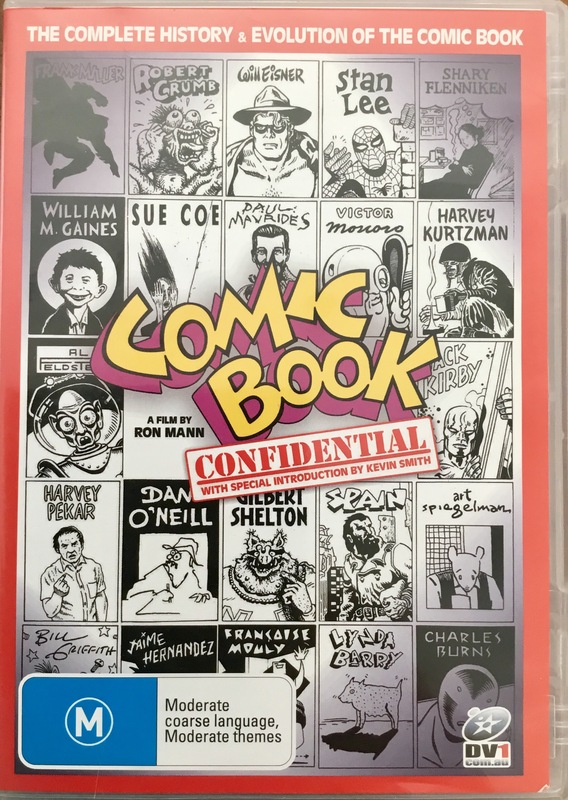 This doesn’t just look at the history of the art of comics, it also takes a walk down the history of comics legacy, and how it was effected by, and how it effected society. 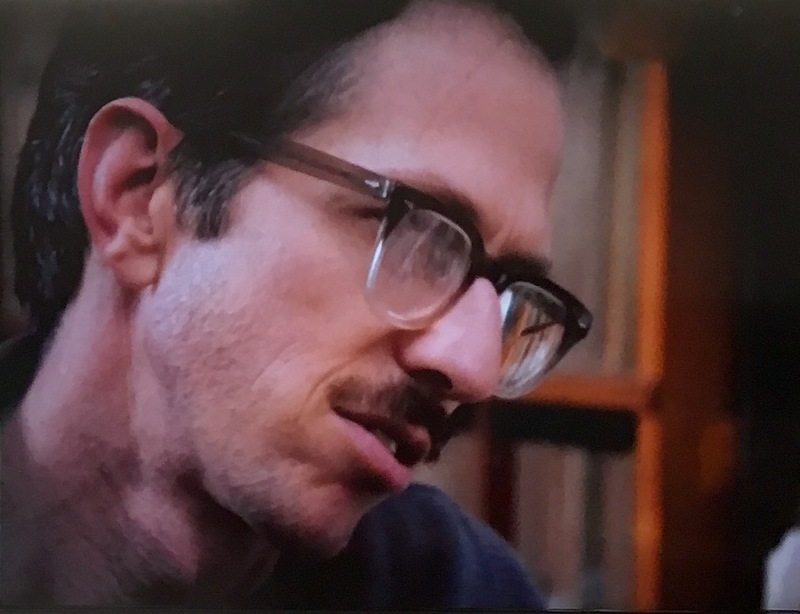 There is some great archival footage of the Senatorial Commitee on Juvenile Delinquency and some disturbing stories about court cases where artists and writers were sued for things they wrote or drew. There is some cool presentations of classic comic covers rarely seen, but occasionally that footage is spoilt by some poorly executed, amateurish animation of the covers which was unnecessary and detracts from the amazing original art. If you want a brief history of the industry, and one that is American centric as none of the great European or Asian artists really get a look in, this is your place to go, but there is so much more to many of the stories discussed in this doco. Honestly. This doco could do with a 1988 to now sequel! Format: This documentary was reviewed with the Australian DVD release which runs for approximately 85 minutes. 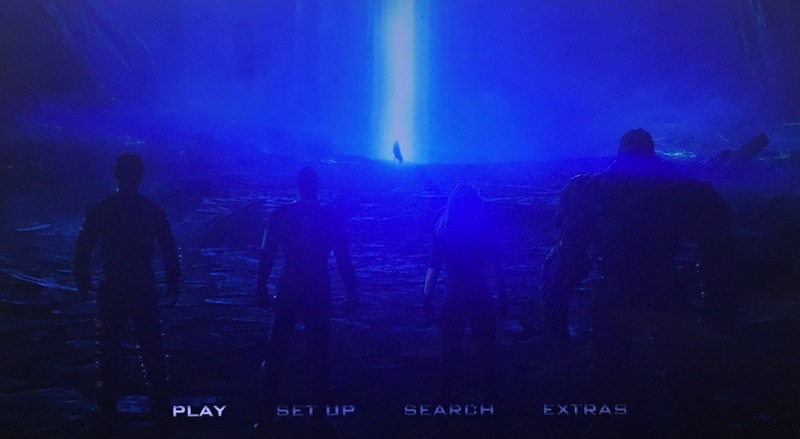 The film is presented in 4:3 and has a 2.0 audio track, both of which are of various degrees of quality due to the historical nature of some of the footage and audio. It doesn’t really detract from the enjoyment of the film though. Extras: There is several extra on this disc though the first couple are a bit Kevin Smith indulgent. I guess if you pay someone to turn up you take advantage of the time. 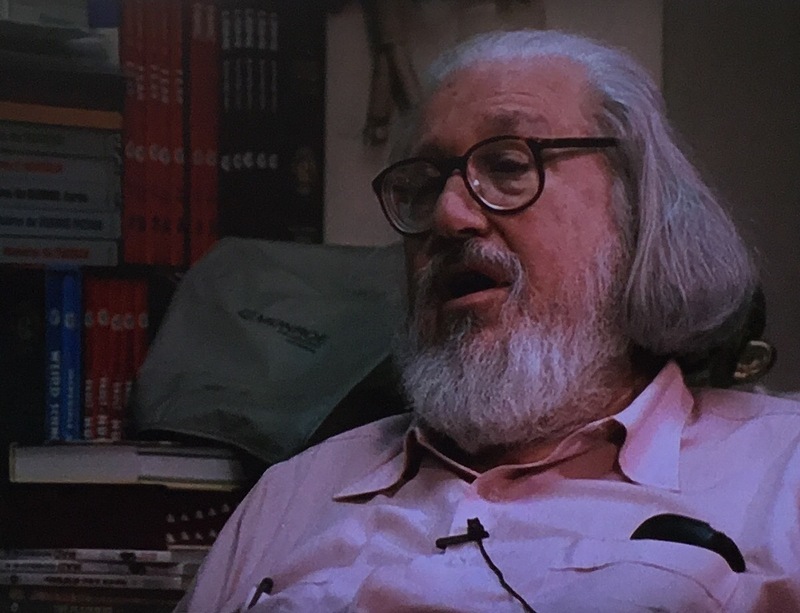 The first note is that this doco from the 80s has a new introduction by Kevin Smith, where he basically points out that even ten years later when his introduction was done, it was still relevant. A Conversation with Kevin Smith is more ‘ a justification for reading comics by Kevin Smith’ and whilst I get the heart of where it’s coming from I don’t get why I have to justify, or convince someone that adults can read comic, the same as a cricket fan does have to justify to me why he likes it. It doesn’t matter what you dig, just respect each other, and if you think you have to justify your passion to a friend, you need new friends. Silent Bobs Speaks is a not very funny series of questions aimed at Smith’s ‘Silent Bob’ character. Lame. 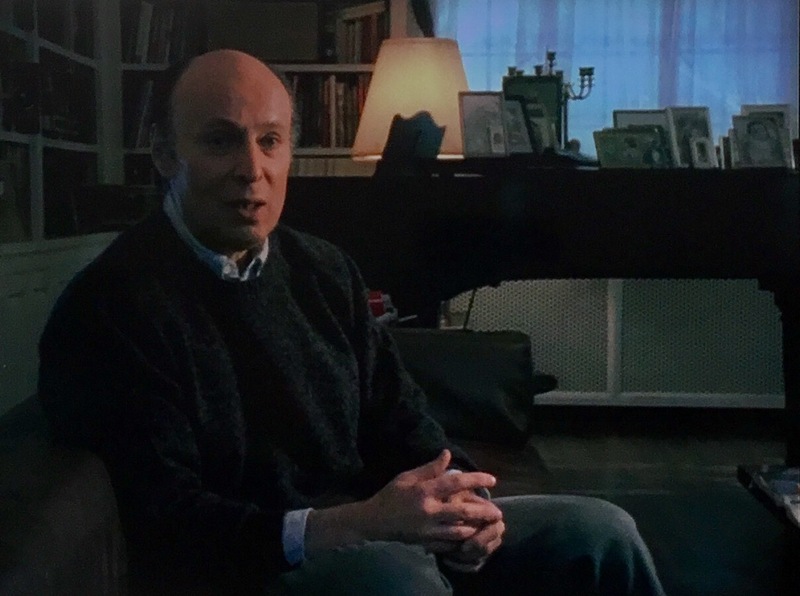 The is an interview with director Ron Mann who talks about the making of this film and his career in general. Last there are text biographies of some of the artists featured in the doco, including Robert Crumb, Will Eisner, Frank Miller, Jaime Hernandez, Shary Flenniken, Lynda Barry, Victor Moscow, Bill Griffith, Jack Kirby (of course), William M. Gaines, Francoise Molly, Al Feldstein, Art Spiegelman, Sue Coe, Gilbert Shelton, Dan O’Neill, Stan Lee, Harvey Kurtzman, Harvey Pekar, Spain, Charles Burns and Paul Mavrides. They are single paragraph bios so don’t expect an entire indepth history of each person. WISIA: I have watched this many times and will probably continue to watch it many more times. Film: I’ve been collecting comics for well over 40 years, and I still love them to death. I do admit that I did have a period in the 90s where I did not buy any, but that was due to Image comics; not the comics or artists themselves as what they did for artists and writers in the industry was long overdue, but the style of their art. I’m an old school, Jack Kirby, John Buscema, Bernie Wrightson, Richard Corbin, Robert Crumb guy, so these new flashy artists had no interest to me, and when Marvel and DC started emulating their style, I was out! Thankfully this didn’t last too long and soon I was back in the fold, enjoying the adventures of masked heroes fighting the good fight against evil, and being a bi-fan: that is, I buy both Marvel and DC comics… but why both? Why in a world where most people buy one or the other, would I get comics from both universes? 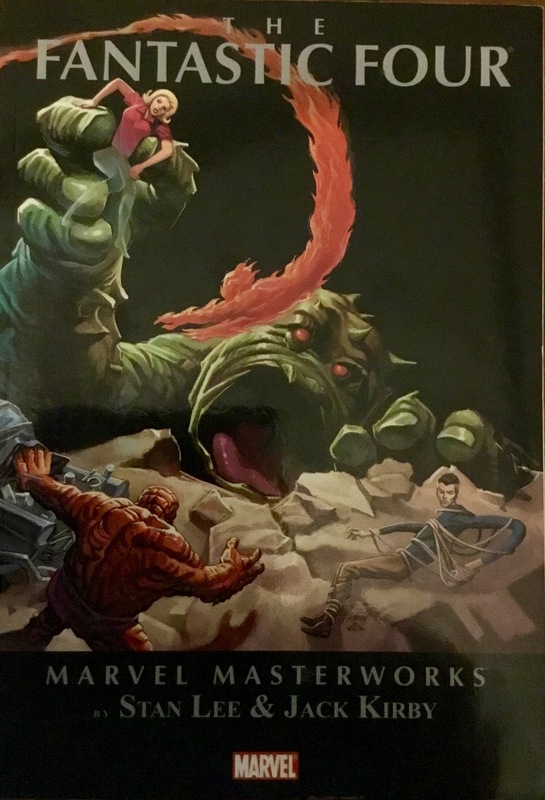 The answer is this: I love the realism of most of Marvel’s heroes having a basis in science rather than magic, and without a doubt, Jack Kirby and Stan Lee’s Fantastic Four is still the World’s Greatest Comic Magazine, even though as of the date of this review it hasn’t been published for several years. 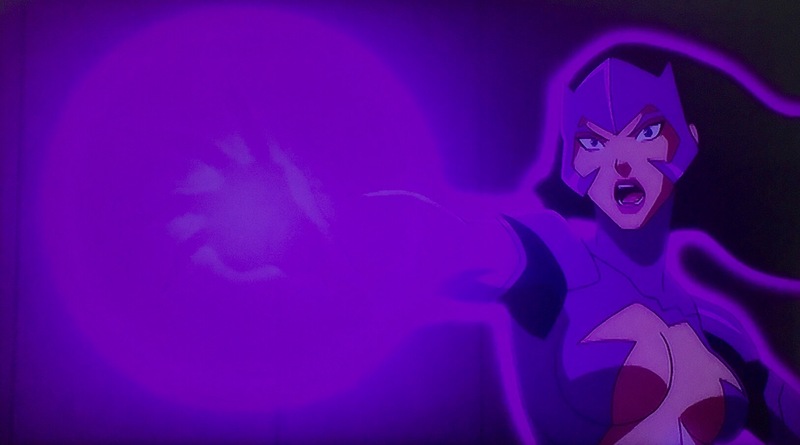 On the flip side of that, I think that DC’s bad guys are greater than Marvel’s. Lex Luther is a great example: in Marvel comics, his equivalent is a good guy, Tony Stark, a weapons manufacturer who became Iron Man. In reality, those sorts of people are seen by the general public as villains, like Luthor. Luther doesn’t hate mankind or want world destruction, he’s xenophobic against Superman. In reality, what would mankind do if an alien came to earth? Luthor’s actions are probably more accurate. Acceptable? No, but when are mankind’s actions acceptable? Another DC villain that I think is possibly the greatest villain of all time is Jack Kirby’s Darkseid. Darkseid is the dictator of a world called Apokalips, and is at odds with the ENTIRE DC universe. You Marvel fans think Thanos is something to be concerned about? Darkseid would eat Thanos for breakfast! 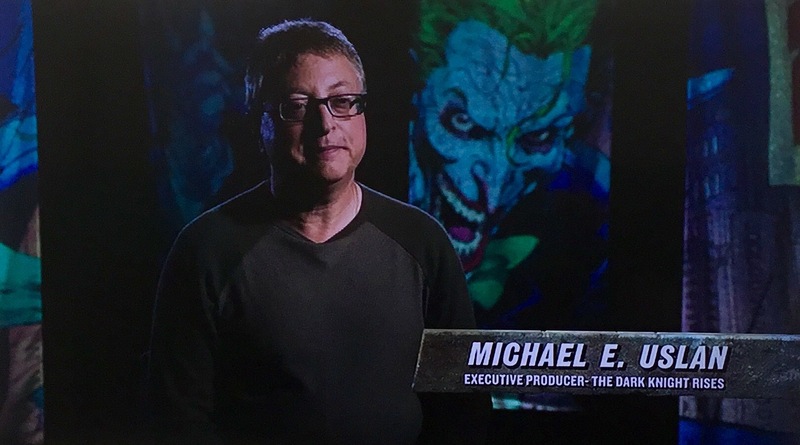 Anyway, this documentary, Necessary Evil, sits as a great companion piece to the previous documentary Secret Origins: The History of DC Comics, which was released three years earlier. 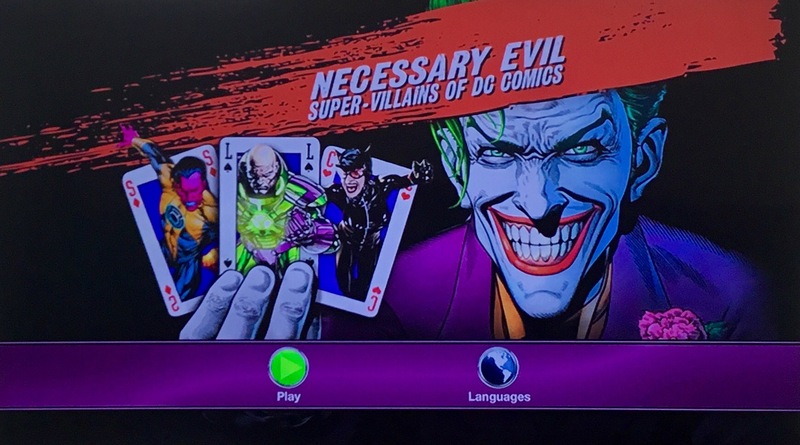 Necessary Evil is hosted by Christopher Lee (the ultimate super villain?) and has interviews with creative types from all walks of life. 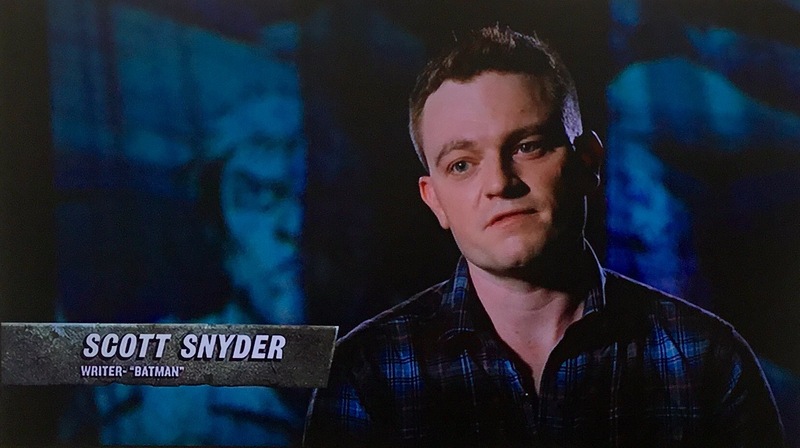 From psychologists to actors, including but not limited to director Zach Snyder, screenplay writer Geoff Boucher, co-creator of Harley Quinn Paul Dini, DC editor Bobbie Chase, DC editor in chief Bob Harras and many many more. 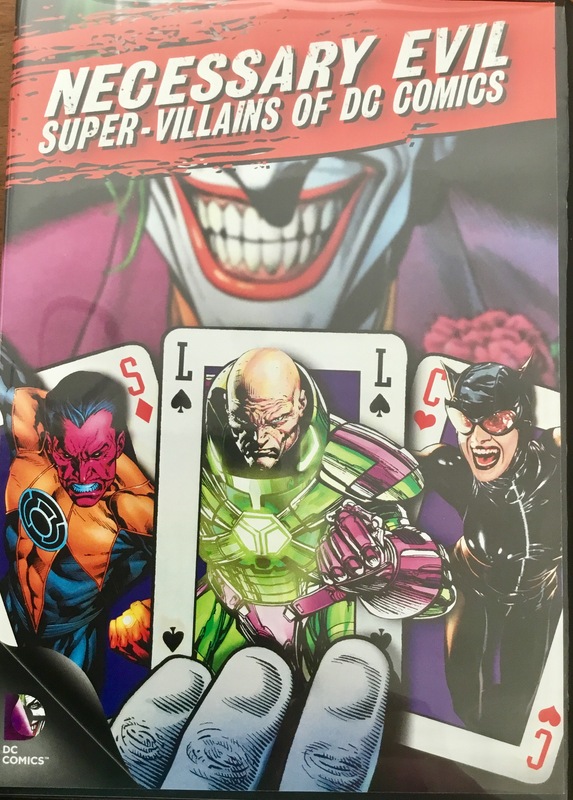 The film features clips from comics, cartoons, video games, animated films and major motion pictures, and displays many incarnations of the various villains, and is not just a great history of the villains of the DC universe, but is also an interesting psychological look at why we love heroes, but love villains even more. Recommended, but it’s really only for the most devout of DC comics fans. Format: Necessary Evil was reviewed on a region 1 DVD which runs for 99 minutes. The image is presented in a 1.78:1 image and a Dolby Digital 2.0 audio, both of which are pretty good. Extras: The disc starts with a trailer for DC’s We Can Be Heroes incentive (which is a pretty cool cause http://www.wecambeheroes.org), Man of Steel, the video game Batman: Arkham Origins, the DC animated feature Justice League: The Flashpoint Paradox and the DC animated TV series, Green Lantern, Young Justice and Batman: The Brave and the Bold, and that’s the entirety of the extras. WISIA: Being a comic nut, I have to admit to watching this many many times. Ask any comics fan what is the most important ‘modern’ comic, and most will say Fantastic Four issue 1. It’s the comic that put Marvel on the map and for years was known as ‘The World’s Greatest Comic Magazine’ and for years, it was! The creation of the Fantastic Four was instigated by publisher Martin Goodman, when he heard that DC’s Justice League of America was doing well, so he asked one of his writers, Stan Lee, to create something similar. Lee’s concept was to instead of making the members ‘super-friends’, he would instead create a super-family so the connection between the members was more permanent. The one member who wasn’t ‘family’ was made to think of his powers as a disability, and stayed with the team to get a ‘cure’. Lee created this by using older characters mixed with new ideas, and comic legend Jack Kirby was called in to co-create not just the team, but what would become the Marvel Universe. 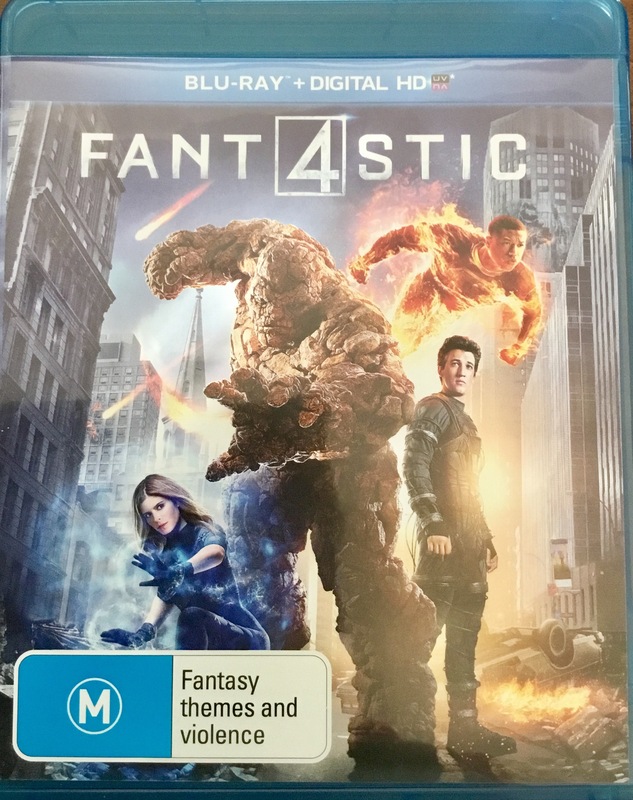 The Fantastic Four is a super hero/ adventuring group consisting of four people with extraordinary powers bestowed on them by cosmic rays that washed over them: super intelligent Reed Richards aka Mr Fantastic, who has a stretchy, malleable body, the powerful Sue Richards, aka The Invisible Woman (though in this particular collection is Invisible Girl) who can turn invisible and create invisible constructs, pilot Ben Grimm, aka the Thing, a man with a literal rocky exterior and young hothead, John Storm, the Human Torch, who can burst into flames and fly. These four are essentially explorers (like DC’s Challengers of the Unknown, a comic Kirby worked on) but end up in situations where they have to use their powers to perform acts of heroism. Unfortunately for Lee and Kirby’s greatest creation, the FF has been cinematically mistreated over the last few years with three films that contained some gross miscasting, bad storytelling and even just daft realisations of classic comic imagery. Actually, Galactus from Rise of the Silver Surfer is probably one of the top three badly realised comic to movie bad guys ever (he’s like a giant cosmic fart), the other’s being Green Lantern’s undulating vomitus, baby faced Parallax and Doctor Strange’s pan-dimensional burp version of Dormammu… seriously, three of comicdom’s greatest villains reduced to various excretions. These have of course, caused Marvel to stop production of the comic after several awesome relaunches by major writing and artistic talents! For me, the Marvel universe is a lesser place without Reed, Sue, Ben and Johnny, and even though Johnny is now a member of the Inhumans and the Thing has been a Guardian of the Galaxy and an agent of S.H.I.E.L.D. (well, kind of), it’s not enough. Art: Jack Kirby is my favourite comic artist of all time, but I prefer his work from the 70s to his sixties work. That’s not to say this isn’t amazingly detailed art, it’s just not as much for me as what he was doing in OMAC, 2001: A Space Odyssey and The Demon, which was blockier, but for me more dynamic. WIRIA: It where the comics we read today come from, so how could I not revisit it regularly. Revolutionary. 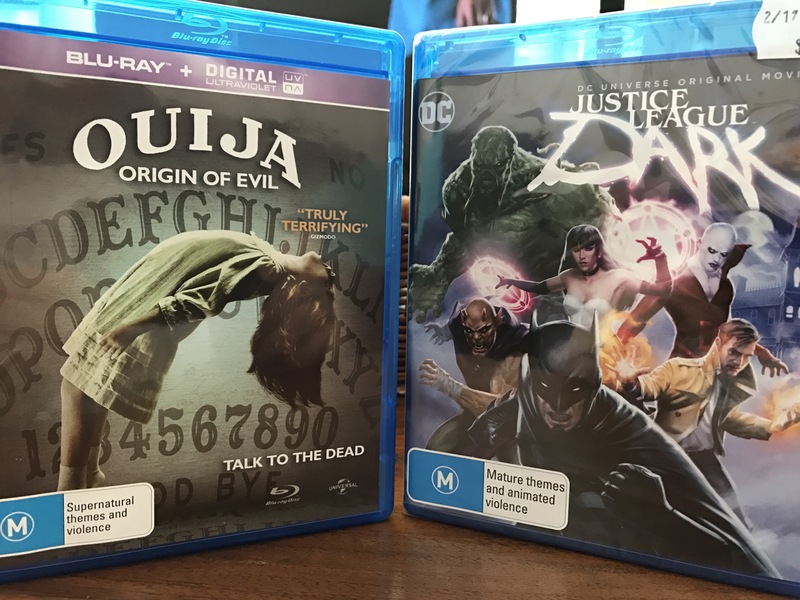 This week I grabbed a couple of new releases: the animated Justice League Dark and Ouija Origin of Evil. 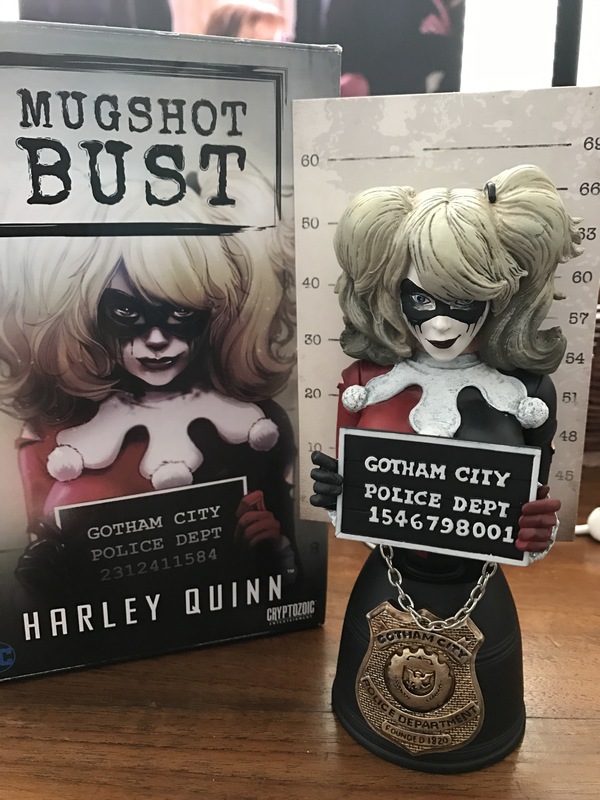 Grabbed this cool Harley Quinn (yes, again) Mugshot bust. Normally I’d do a YouTube opening, but I couldn’t resist getting stuck into this straight away! 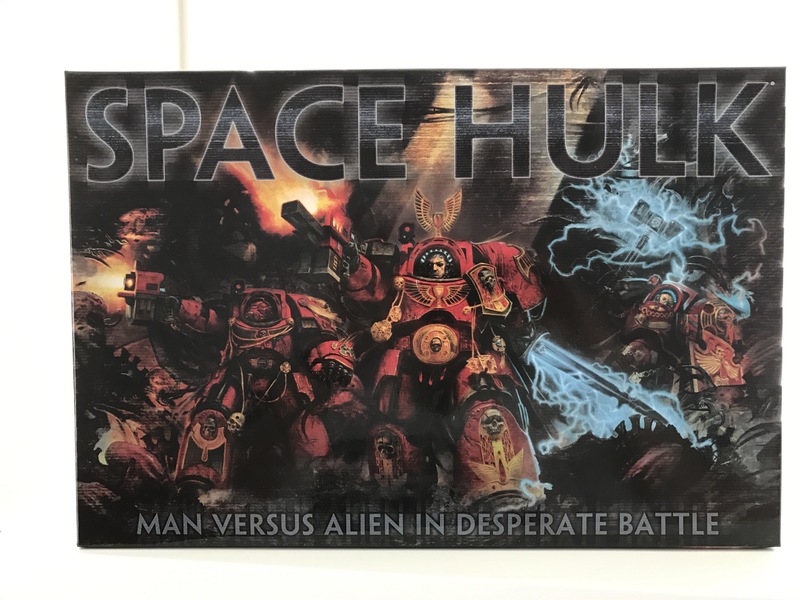 Picked up a copy of Games Workshop’s Space Hulk. I had this years ago, and saw one quite cheap so I jumped on it. I loved this game in my twenties, this and another called Talisman, and I’m glad to have it again.